Ask That Feng Shui Lady. “We’ve moved and downsized often and have given lots of stuff away. We are now in a one-bedroom apartment and have managed somehow to accumulate clutter again. What a great question, and common situation. The simple, not so sympathetic answer is that if there is clutter, it is blocking the flow of energy. The more detailed, empathetic answer is that it is not only normal, but very curable. And clutter builds on itself. Every additional item in your home that you no longer need or love makes the task of removing it seem that much more daunting. Just remember, you can’t get to your destination without making that first step. So just make a first step. Pick one room, one closet, the junk drawer; get that cleaned up and see how it feels. And just like anything, it took time build the clutter, it will take time to remove it. No guilt, no blaming, just clearing at your own pace, with permission to stop, cry or take naps during the process. It can be quite confronting, but in the end it will be cathartic and worth it. Instead of life taking over your clutter control, take your life back and take over your clutter. It just takes that first step. 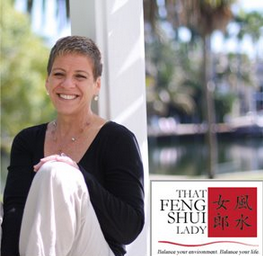 Valerie Sands is a Certified Feng Shui Consultant based in South Florida. Through movement of furniture and household items, she helps set up an environment which is not just more visually pleasing, but which also enhances energy and realization of dreams. Whether you want love, money, health, career…whatever; it’s in your house and she can help you unearth it. Schooled at the East Coast Academy of Feng Shui, Valerie is trained to understand the flow of the elements in nature, and where they should reside in the home to achieve the most benefit. Join Valerie on Facebook.